FINCA International is fortunate to have strong private sector partners who share a commitment to alleviating poverty and building brighter futures through microfinance and social enterprises. The Bill & Melinda Gates Foundation is supporting FINCA’s credit scoring work in the Democratic Republic of the Congo. The Clifford Chance Foundation is the charitable arm of Clifford Chance LLP, one of the world’s pre-eminent law firms and is FINCA’s strategic partner for a range of global initiatives, including delivering training to enhance the capacity of FINCA’s global workforce, measuring social impact at the client level, and increasing legal capabilities for new strategic initiatives and in certain countries (e.g., Afghanistan and Haiti). 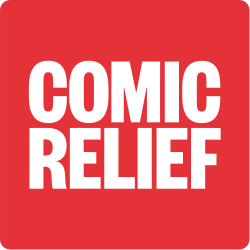 Comic Relief and Jersey Overseas Development Aid are supporting the upgrade of FINCA Zambia’s agent banking network, reaching underserved population segments through fintech innovations. The joint effort expands the agent network while evolving its business model to better meet the needs of customers through financial literacy. The investment supports capacity building, identification and training of qualified agents, and equipping them with the resources necessary to dispense information on money management, consumer protection and the financial products best suited to the client’s needs. 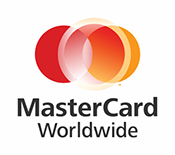 Mastercard Worldwide partnered with FINCA in Nigeria to help establish our newest subsidiary and develop a branchless banking operation, enabling a more rapid, efficient expansion of operations across the country. Through the Whole Planet Foundation’s provision of interest-free loan capital, FINCA has been able to more cost-effectively expand outreach in the Democratic Republic of Congo. Several thousand borrowers in Likasi and Kolwezi now have access to microloans thanks to this partnership. FINCA UK and WildHearts have partnered to provide grants and loans to FINCA’s operations in the poorest communities of Africa, Eurasia, the Middle East and Latin America.